A welcoming, creative loft space, an oasis at the gateway to La Défense. A former coal storage depot constructed in 1910, which then became an artisan workshop, the space was renovated in 2013 with a focus on preserving its unique spirit and structure. 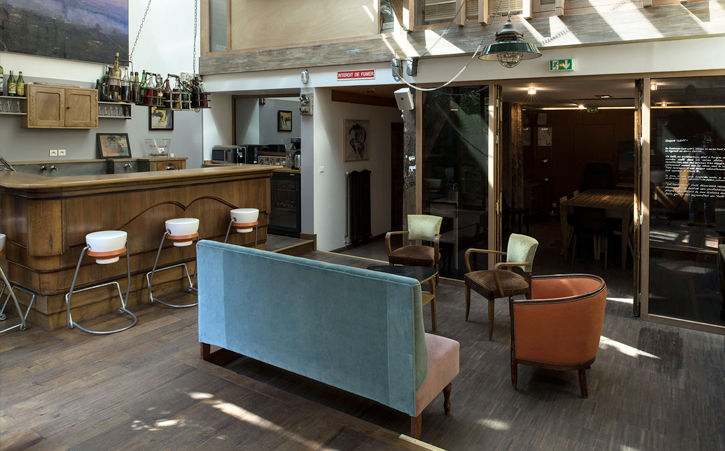 La Charbonerie has been designed to welcome groups, and particularly businesses. Its unusual character make it a great location for filming or photo shoots too. 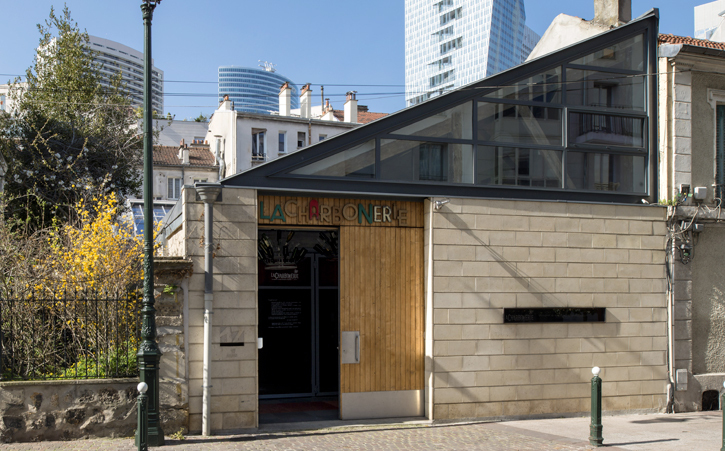 A location open to culture and creativity, la Charbonerie also houses a permanent exhibition of works by Alejandro Quincoces, a Spanish artist whose impressionist and very photographic work mirrors the urban sphere. In keeping with the loft character, the plenary room is a large, open, light space on the ground floor. The indoor garden harmoniously separates the meeting area from the lounge bar. An oasis of greenery in the centre of the room. La Charbonerie has a capacity of 60 for conference and 100 for cocktail events. It may also be suited to smaller groups for meetings and seminars from 10 to 50 people, with its two individual meeting rooms, each offering a floor space of 21 m2. 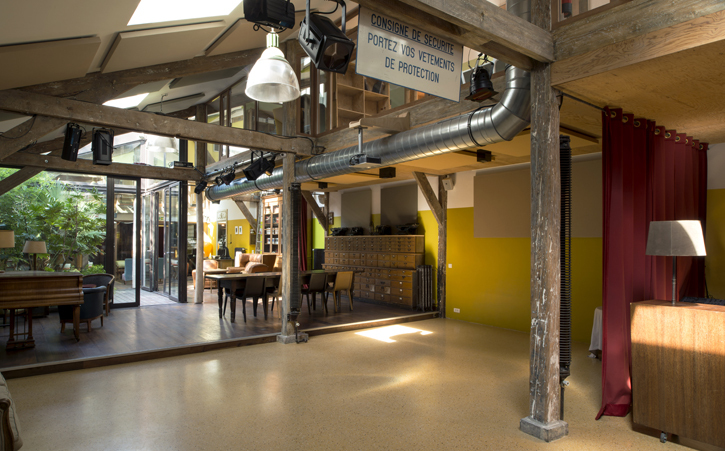 An authentic converted loft space in a former workshop, La Charbonerie retains the historic identity of the location, with the original structure of the building and the ruggedness of the raw materials exposed. With a large and entirely open area, the space is characterised by offset areas and minimum partitioning. The windows and skylights in the walls and roof bathe the space in natural light. 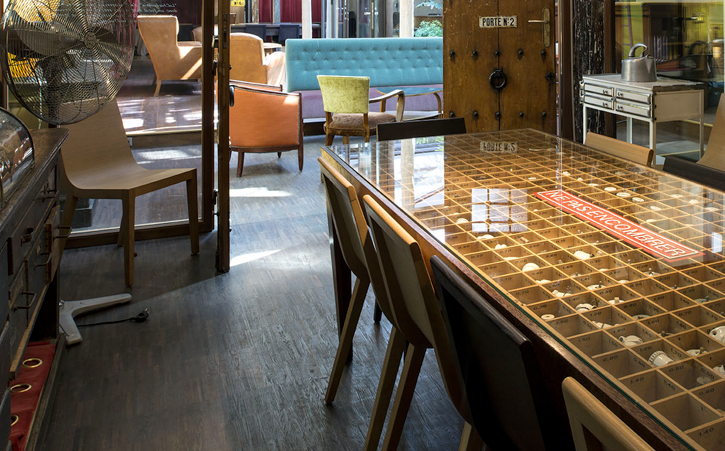 The decoration, which combines repurposed objects and vintage furniture: under the skylight sit a grand piano and several items of furniture hardware, which imbue the space with authentic cachet, borne from history and inventive spirit.